Children in the Paediatric Ward at the Broken Hill Hospital will have more toys to occupy their time during their stay thanks to a generous donation by the former students of Broken Hill High School. The organising committee for the BHHS Class of 1966 Reunion (held here over the June long weekend) had money left over from the event and decided to buy some items for the Kids Ward. The committee spoke with the Nurse in Charge and with $680 to spend, purchased for the ward a swing set, four portable DVD players with headphones and DVDs, a push along scooter and an activity car. “We also donated $500 to the Royal Flying Doctor Service in Broken Hill,” she said. The Broken Hill Health Service is extremely grateful for the donation and is confident the new toys will help their young patients have a more comfortable time whilst in the ward. 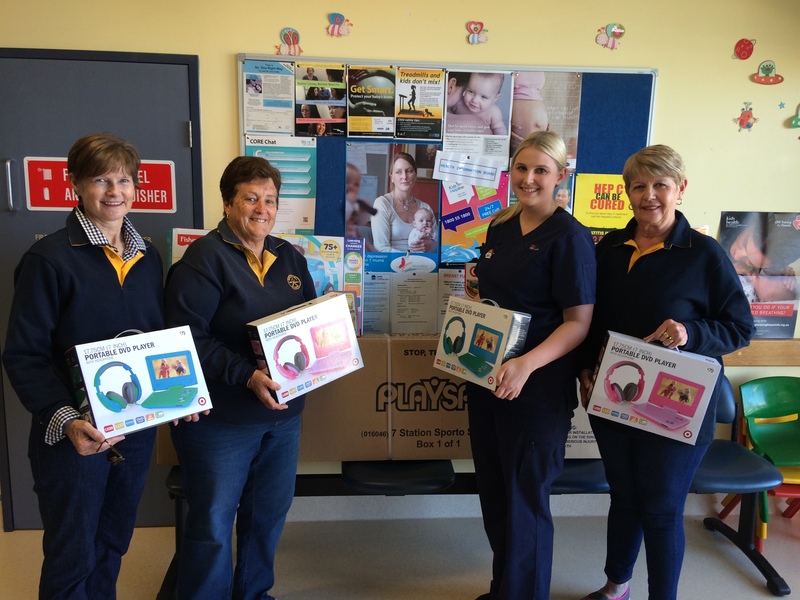 Pictured presenting the toys to the Kids Ward were (from left) Judy Bevan, Cheryl Meuret and Joan Casey to Kids Ward Registered Nurse Laura Sutherland.